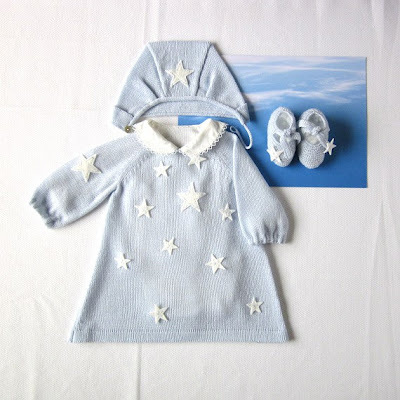 While browsing through Etsy this morning I stumbled across this absolutely adorable shop of hand knit and vintage machine knit newborn baby outfits, by Susana Ferrand (in Portugal). Each piece is uniquely and carefully prepared. The clothing pieces are machine knit (on a vintage machine as I mentioned above) and the little booties and details are all hand knit. 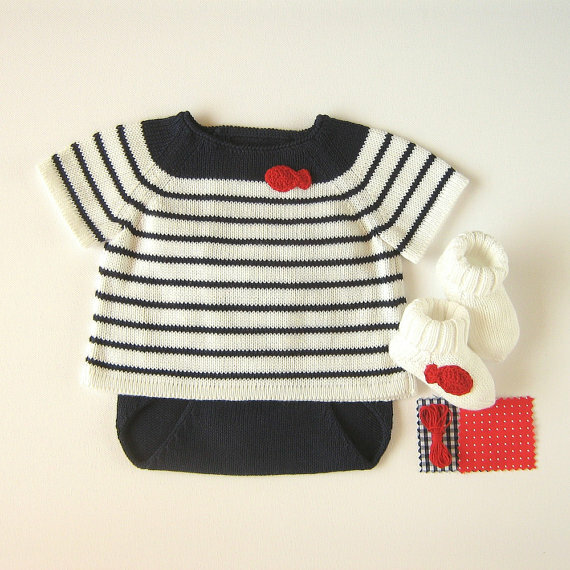 I especially love all the nautical inspired outfits she has made. As many know, I'm quite a stripes fan. Check out this awesome shop! For now, I am trying to decide which outfit I want to get baby. omg! So cute! I have so many baby showers coming up I will definitely be considering some of this!! Wow these newborn clothes are absolutely adorable. You can really sense the quality and craftsmanship that went into it, as well. You can always find such talented artists, designers, labels etc. on Etsy! I especially love the last outfit! Too adorable with the brown jumper dress. Thanks for sharing! Very cute! One day I'll have a baby to dress in adorable things like these. Very nice blog!